Running and traditional wired headphones just didn’t mix. Wires get in the way of arms. Or the wires are in a big knot before you even put them on. Wireless headphones are a great piece in your running toolkit and these Syllable Wireless Headphones with Charging Box are so amazing. 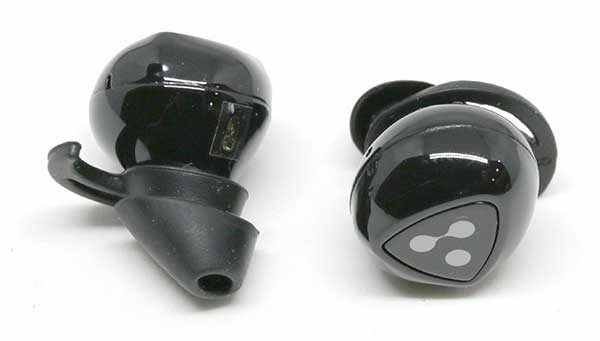 They are truly wireless, noise-canceling, and are small enough that it doesn’t look like you have a satellite hanging off of your ears. Now through April 12th the or until they sell out, the Syllable Truly Wireless Headphones are on sale on Amazon.com for just $41.99 (regularly $99). Even better, enter promo code 2QQWKDKA at checkout and you’ll get an additional 41% off making them just $24.77! These headphones are sweat proof and compatible with most Bluetooth enabled devices such as iPhone, iPad, MacBook, Android Smartphones, etc. Victoria Sport has some instant Fitspiration for you. GET THE OUTFIT! $60 LIGHTWEIGHT SPORT BRA & SPORT PANT. This offer is valid on Lightweight Sport Bras Orig. up to $29.50 & Knockout Sport Pants Orig. up to $69.50 for a combined $39 savings. Excludes Clearance & PINK. Use code SPORT60PAIR at checkout. But hurry! The offer is only valid through April 6, 2017 11:59pm PT; while supplies last. Also, for a LIMITED TIME, Victoria Sport is offering 2 FOR $25 SELECT SPORT BRAS. No Code required. Shop the collection. Head over to Amazon to grab up a pair of Mizuno Men’s Wave Enigma 5 Running Shoe . Select colors and sizes are on sale for only $45.92 (up to 69% off). The Wave Enigma are a maximum comfort trainer featuring shock-absorbing cushioning with a breathable mesh upper. You’ll love the full-length Wave maximum cushioning and secure mid-foot wrap. Hurry, while offer and supplies last. Do you think vacationing at a scenic resort and running a race while there sounds like fun? If so, you’re not alone. ZOOMA Women’s Races are weekend getaways in awe-inspiring locations featuring beautiful courses and one-of-a-kind race weekend experiences for women of all ages. And RunOklahoma.com has the details to save on your race registration. The ZOOMA Texas Half Marathon, 10K & 5K are scenic courses through the Texas countryside. The Half Marathon & 10K share a start line and the 5K race takes place at a separate start on the resort. The Finish Line of all three races leads into an unbelievable riverfront Post-Race party on the lawn of the Hyatt Regency Lost Pines Resort & Spa featuring wine, food, post-race massages, recovery yoga, shopping, and music! Fabulous swag bag including a women’s fit tee (that you’ll want to wear every day! ), Feetures! socks, ZOOMA shopping tote and running hat (half marathon participants only). You don’t have to stay at the official hotel resort/race headquarters. There are several nearby options. But if you prefer the convenience of being able to walk from your hotel to the start linen then the Lost Pines Resort & Spa is for you. Treat yourself to an unforgettable and relaxing race vacation when you stay at the Official Race Headquarters for ZOOMA Texas – the Hyatt Regency Lost Pines Resort & Spa. All races start and finish at the Hyatt so you can simply walk to the start line race morning. Bring your best friends, your sisters, and your mom for a weekend you’ll remember for years to come! Both women and men and runners and walkers are welcome and encouraged to participate in all ZOOMA Women’s Race Series events. Use the code AMR17 for 10% off of your registration to any of the ZOOMA races. They have shoes starting at $25 with hundreds of pairs at $40. Don’t forget that winter apparel is discounted between 40 – 75% off. Beyond the great deals, this sale will be going on for two weekends at two of their locations so you have several opportunities to catch the bargains. 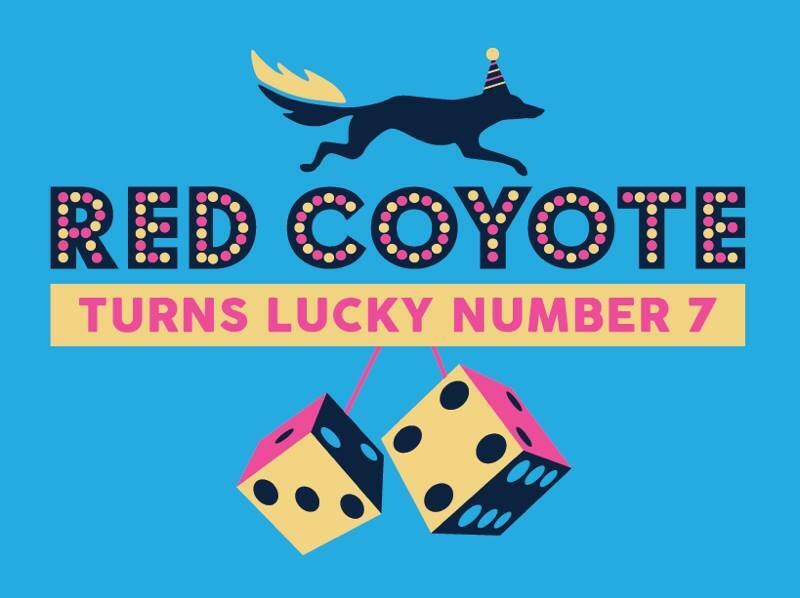 Red Coyote is turning lucky number 7! To celebrate 7 years they are hosting their annual Birthday Sale at the OKC location. The legendary Birthday Sale happens every year and offers huge markdowns on sale items and great deals on socks, sports bras, apparel and tons of other stuff! Red Coyote’s new Edmond location will be offering the same discounts on sale merchandise and other products, but charity tees and raffles will only be available at the OKC location. Are you tired of those wires of your headphones getting tangled up while you run? Amazon has you covered. Grab up these TOTU Wireless Bluetooth Stereo Headphones for only $19.99 (regularly $69.99). These headphones are sweatproof as well as dust and shock resistant. The ear hook design allows you to focus on your workout with no worry of falling out. Also, the built-in rechargeable battery lasts up to 160 hours with standby time or up to 7 hours when playing music. These headphones also include a microphone so if you need to answer a call while on your run, you can. Get free shipping on a $35 order, a $25 Book order OR snag free 2-day shipping on ANY size order with Amazon Prime. OR, choose free no-rush shipping and get a $5.99 credit for Prime Pantry OR a $1 credit for eBooks & more – may vary by user. The Flyte Long Sleeve shirt is a Oiselle staple simple because of all the power packed into this one running top. Seemless long sleeves so you aren’t chafing under your arms during your run. Arque™ Plya (69% nylon, 31% polyester) fabric so that it moves with your body but with enough structure that it isn’t clingy. And my favorite part, wicking anti-odor treatment. Let’s be honest, anti-order treatment on your running clothes is necessary. Even though this shirt is hard working, the new spring colors are popping. Snap and Coast are two of my favorites. Use code JASFLYTE for 15% off plus free stateside shipping on a Oiselle Flyte Long Sleeve shirt. Hurry, this offer ends March 31st. This is not an April Fools Day prank. This is real. Back in January, I shared with you about the Oklahoma City gym that’s just for runners. Now I’m sharing with you this awesome event that the running gym, Higher Ground, is hosting. Running apparel and supplies store, OK Runner, will be in the Higher Ground Running studio. All shoes will be 15% off. What a fun way to get a fresh new pair of shoes from OK Runner and try them out during a guided workout from the Higher Ground. You don’t want to miss out on this event. Spring is HERE and as the weather warms up, hydration is more important than ever. I want to help you stay hydrated with this nuuntastic discount code! The promo code -HYDRATEWITHUS17 – is good through the end of the month and will provide 20% off their purchase. Check out nuunlife.com to get stocked up on your hydration needs.